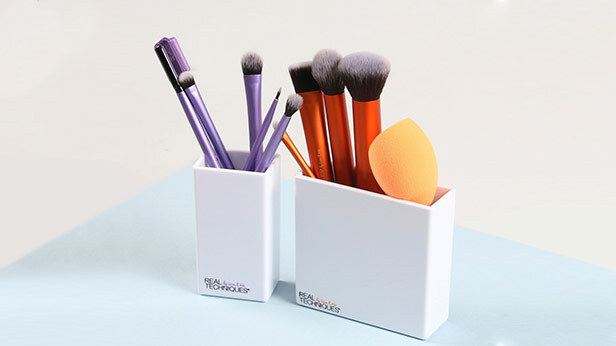 Have you fallen into the trap of buying more makeup brushes than you know what to do with? Or perhaps you’re in the other camp, and have a couple of tired, worn out brushes that you use for a multitude of uses? Decking out your makeup bag with the right brushes will do more than make it look pretty. 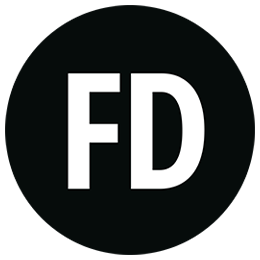 They’ll help you to apply makeup in the best way, giving you a polished final look. 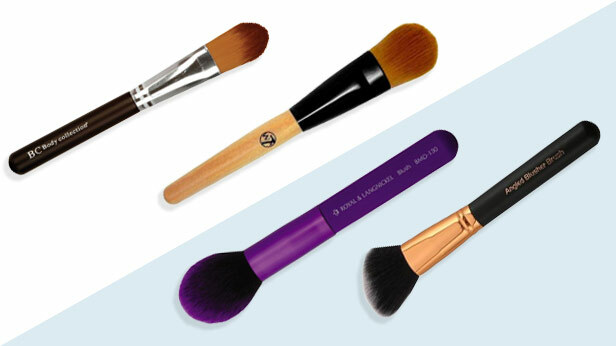 There are a few clever multipurpose products out there, like Brush Works’ Purple & Black Multi Tasking Brush, which can be used for face, blush and bronzer. But for a fool proof approach, you’ll need the lowdown on what kinds of brushes do what jobs. Here are just a few of the essentials to include in your kit. For even coverage, a foundation brush is a must. Different brushes work well with alternative types of foundation and concealer, with softer, natural brushes working well with powder-based products, and firmer, synthetic brushes giving you the best effect for liquid foundations. Examples include Body Collection Foundation Brush, and the W7 Foundation Brush. 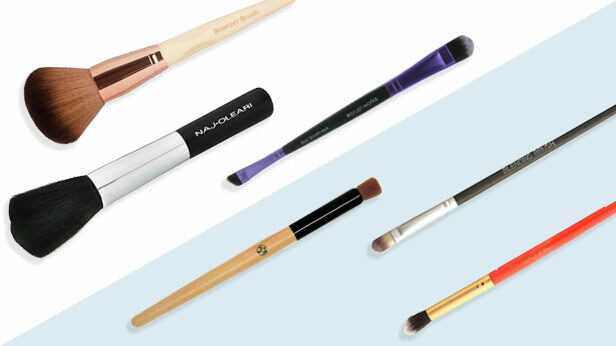 Some varieties of blusher brushes are championed by different makeup artists, and there are a huge range on the market, so whittling the choice down can feel tricky. Ultimately, think about how you want your makeup to look, and what you’re comfortable using. For instance, some blush brushes are designed especially for contouring. This might be perfect for you, or you may prefer something that gives a more natural look. ROYAL & LANGNICKEL’s Moda Blush Make Up Brush is ideal in that scenario, whereas Royal Cosmetics’ Pro Angled Blusher Brush will give you more precise control. Fluffy, loose brushes are perfect for applying a sweep of bronze to your complexion. Look out for powder brushes that have oversized heads, so you can get a smooth arc of bronzer across the cheeks and forehead. Products like the So Eco Bronzer Brush and the Naj Oleari Powder Brush will give you the exact effect you need. Equipping yourself with more than one eyeshadow brush will give you all the tools you need when trying out different looks. If you need to keep to a budget, make sure to treat yourself to at least two eyeshadow brushes, one for looser powders, and a second for working with eyeliners and gel or liquid based products. The clever Brush Works Purple & Black Double Ended Eye Brush gives you two brushes in one. Or, get a narrow-tipped brush like Body Collection’s Large Eyeshadow Brush for precision, and W7 Eyeshadow Brush (04) for sweeping on colour. Blending is the key to creating that flawless, finished look! Whether that’s blending eyeshadow, or highlighter, you’ll need a good blending brush in your back pocket. Check out products like the Royal Cosmetics Blending Brush and Technic’s Pro Blending Brush for a silky, professional look.